Please contact listing agents Laurie Wing 435­640­4503 and David Dowie 435­640­3434 for showing appointments and design specifications. Currently under construction, listing agent must be present to show. Please use extra caution when showing for your client’s safety. All information herein is deemed reliable but is not guaranteed. 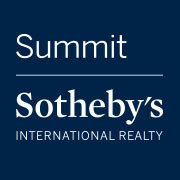 Buyer is responsible to verify all listing information, including square feet/acreage, to buyer’s own satisfaction.